WELCOME TO 3560 S STAFFORD STREET! Every corner of this home has been updated in every room, on all 3 levels. 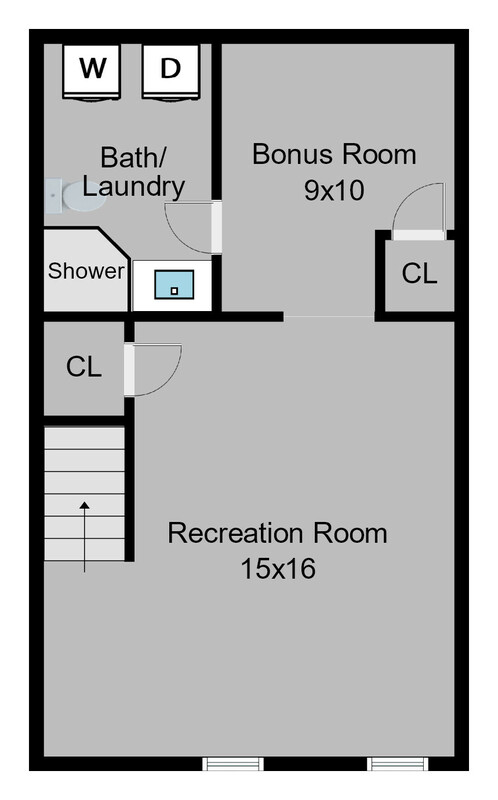 Those who know Fairlington also know that this is one of Fairlington’s favorite floor plans. This Edgewood Floor Plan has today’s best features! Private, convenient community central to all Arlington and Alexandria communities, amenities, and commuter route, that will help you love this home! Updated, renovated kitchen, baths, designer fixtures, accent lights, moldings. ALL NEW: new floors, new windows, systems, granite, stainless steel, designer neutral paint, HVAC, H20 heater.Quaint, private, patio backs to common space. Tucked away in quiet corner of this south side cul de sac. Short walk to pool, tennis, Fairlington and Bradlee shops and eats.1 Reserved Parking Space.Metro Bus at every corner. Low condo fee includes water, exterior maintenance, common grounds, tennis, ball courts, Community Center, fitness trail, pool, and more! Metro Express Bus to Pentagon at every corner. Celebrate! Nature, trees, park and water views highlight the appeal from this renovated and updated unit with expansive balcony and new windows at The Greenhouse Unit 406! Compare custom KraftMaid cabinets and creative kitchen storage, granite counters with others available. You’ll find sparkling wood floors, crown molding, updated fixtures, interior doors, hardware, and renovated baths. 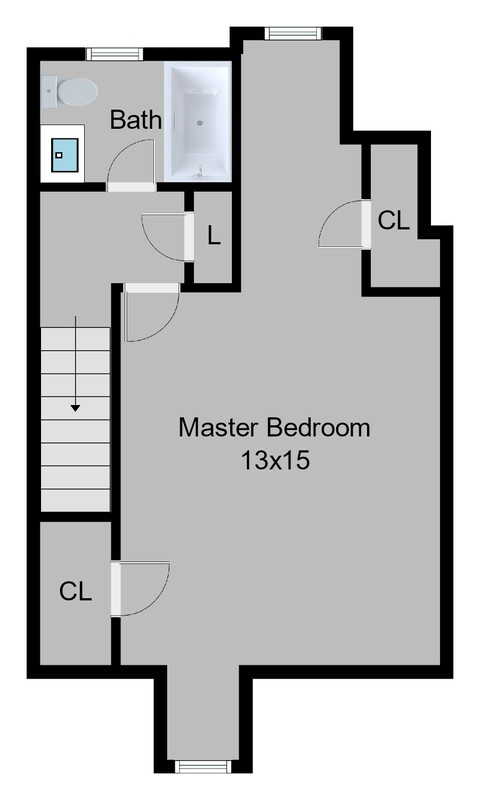 Don’t miss two walk-in closets in the master suite and beautiful park views. The Greenhouse Condominium building location offers full-service, all-inclusive community amenities. A beautiful courtyard includes walking path, tennis courts, pool,and raised beds for those who love to enjoy the outdoors. There’s a beautiful lobby, fitness center, and front-desk manned 24 hours a day. An underground garage for resident parking for 1 space that conveys with the unit. Ample street and visitor parking can be found as well. Generous room sizes, bright living space offers a functional yet versatile floor plan to adjust and accommodate every phase and different stages of life, work, and enjoyment. Visit Go, Greenhouse! to read more about the property, community, location, and floor plan. Then, Contact Me for a private showing. Quiet, spacious, two-levels with walk-in closets! Seller has done all money-saving upgrades:windows,HVAC,wood blinds,fresh paint, LL flooring, bath updates and more mean lower cost of ownership! As an historical landmark that spans Arlington and a corner of the City of Alexandria, Fairlington is among buyers favorite community. It’s a wonderful location, beautifully maintained and one of the most reasonable condo fees around. One of Fairlington’s favorite floor plans is this Barcroft. These condo homes offer generous rooms on two levels of living spaces plus a fully-fenced rear patio perfect for outdoor enjoyment or entertaining. This particularly Barcroft is nestled in the back of the court in Fairlington’s south side. That means assigned parking, more green space, trees, and steps to shops, restaurants, and conveniences at Bradlee and Shops at Fairlington including Reunions, CVS Pharmacy, Cafe on Fern, Ramparts, Green Street Nursery, Great Harvest Bread Co., and Baskin-Robbins. Yes, you can walk to ice cream AND pizza! Keep reading…we haven’t even covered our favorite things about this wonderful home. Tons of natural light pours through replacement windows that brighten the space. Wood floors and decorative touches welcome all who enter. A complete top-to-bottom kitchen renovation offers tons of counter and cabinet space for cooking and storage in style. Entertaining is easy with kitchen access to the backyard patio and pass through to the separate dining room. There’s a main level bedroom with great closet space, bright light, wood floors offer guests or roommates privacy and comfort including an updated full bath across the hallway. Wonderfully separate and spacious is a lower level turned master suite retreat! A private back stairwell leads to the family room and recreation room updated in style and luxury. You’ll find warm designer paint, wood laminate floor at the base of the stairs. It’s a great exercise space, reading room, or added storage space including linens, closet space underneath the stairs as well. The possibilities are limitless. Adjacent, updated bath turns this entire level into a master suite retreat created by owner and utilized by current occupants. Fairlington is a favorite community for its location, convenience, brick construction and slate roof composition. It’s one of the few condo communities in the area that connect Alexandria City to Arlington County with walkable amenities and attractions in between. Fairlington association fees are among the lowest in the area and among the few where you can truly witness the value of a full-service grounds maintenance, pools, courts, Community Center, sidewalks, dog park and more. Oh, and the commute?! Express Metro Bus and ART Bus at just about every corner. Minutes to I395, Old Town Alexandria, and Rte. 7!